Welcome to Ondataperf, the performance analysis web site (analyze Oracle statspack report or awr)! 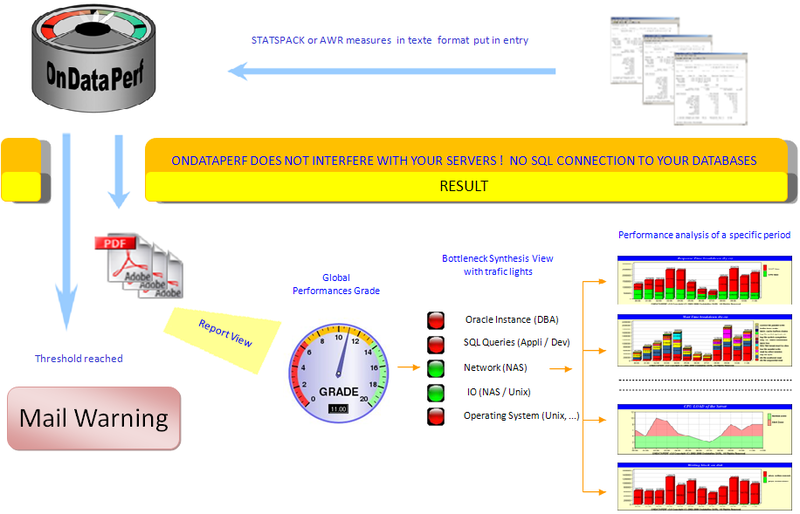 Ondatafine provides ORACLE database performance analysis using your STATSPACK report or AWR METRICS that is generated from your database. All that is required are simple text files (reports) that are uploaded to the OnDataperf performance analysis engine. Analyze can be done manually or unattended utilizing the OnDataperf web service. Ondatafine was founded in 2002 by Sylvain Garest and Jacques Futeral, two professionals with over 15 years of experience in software development, systems performance, and database administration. You can contact us with this form. We will reply as soon as possible.